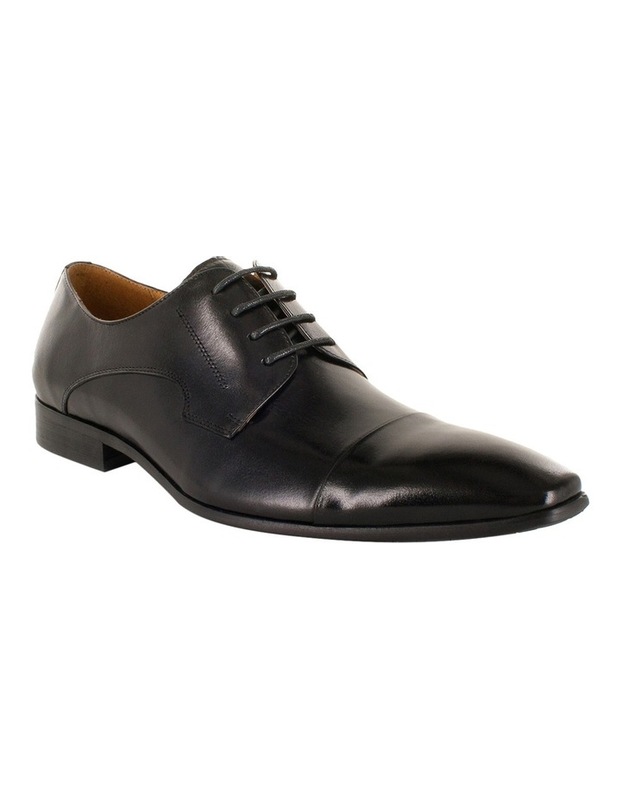 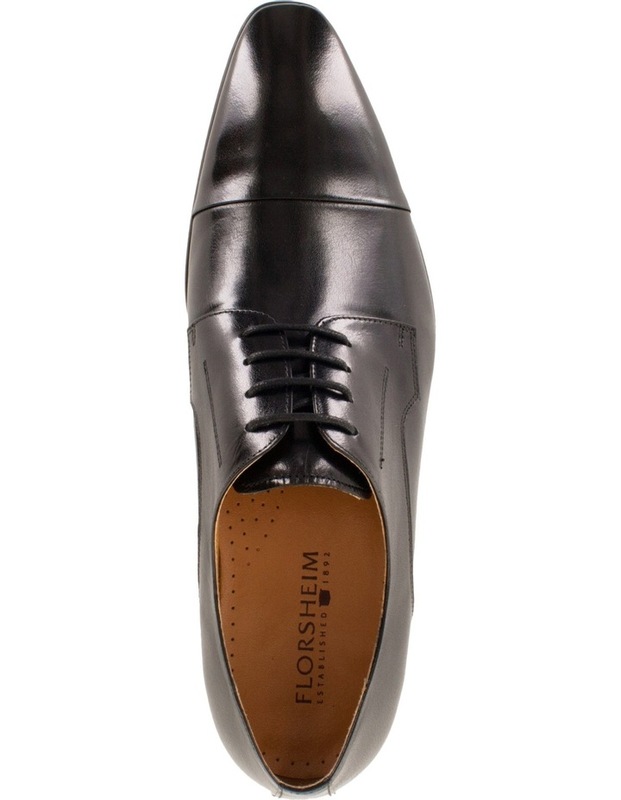 A contemporary 4 hole toe cap derby with almond toe shape. 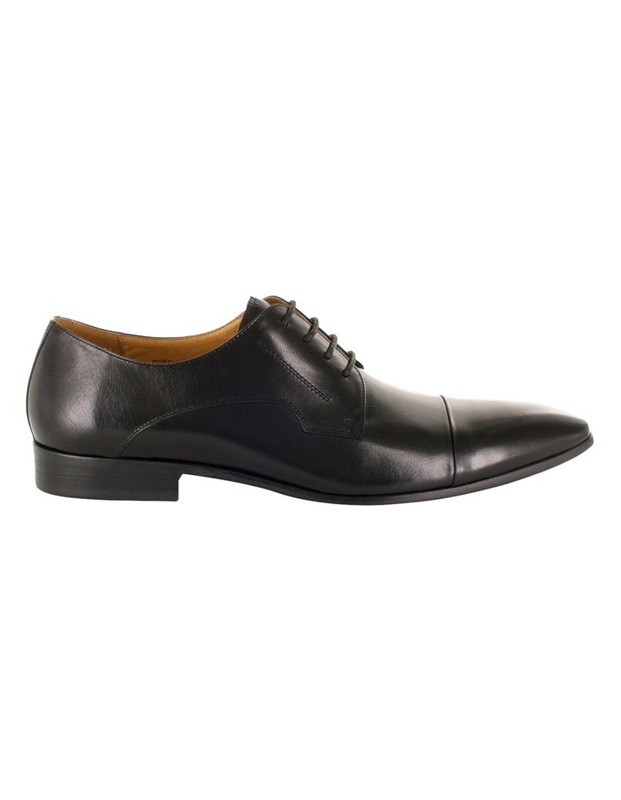 Made in buffalo calf upper leather with padded sock and leather quarter lining. 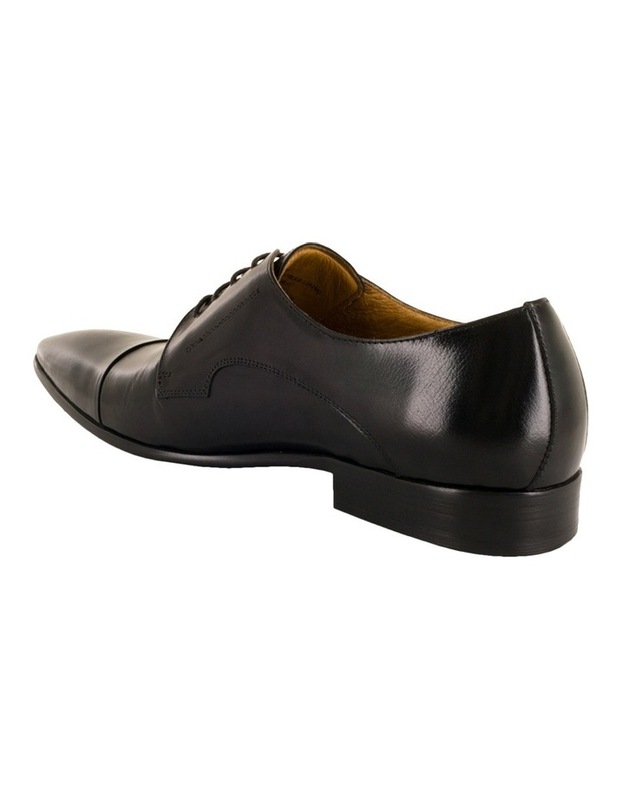 Includes a flexible, light weight rubber unit sole.